Over the years I’ve run a number of campaigns with the intent of proving tabletop games a strategic backdrop. Some have been very successful, while others have unfortunately been far from optimal. Generally the greater the campaign detail the poorer the tabletop games. Not surprisingly large campaigns, involving a number of players, are the hardest to run. Perhaps the most frustrating situation is one where a very successful strategic campaign can result in less than optimal table top battles due to unequal forces. For this reason the strategic elements of a campaign can be interesting with the battles resolved by a simple series of die rolls. 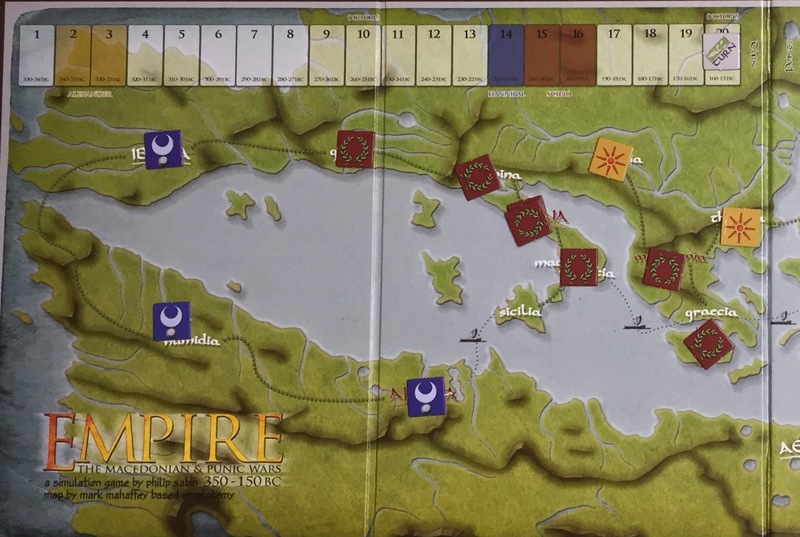 In 2009 the Society of Ancients published a boardgame by Phil Sabin called “Empire”. It was released again a few years later with much enhanced graphics as part of the Lost Battles board game package. The maps in this article are from the enhanced boardgame version. During the week I finally managed to play the game. With our game all battles were resolved as part of the game without placing any figures on the table. So how does the system work? Firstly the board stretches from Spain to India and comprises 22 provinces. The games starts with the rise of Macedonia in 350BC and runs to 150 BC. Each turn, of which there are twenty, represents ten years. There are four player countries. Persia and Carthage which comprise several provinces, while Macedonia and Rome consist of only one province each. The combat mechanics are extremely simple. Each country conducts an attack per turn in random order. The exception is three great commanders who for a short period may conduct five attacks in specified turns. The first is of course Alexander, who in time is followed by Hannibal and finally Scipio Africanus. All attacks are resolved with one or two die rolls modified by a few simple modifiers. Very briefly in our game Phillip, and then Alexander, were slow to expand Macedonia with multiple attempts to subdue Greece before embarking east in a campaign of conquest. Indeed, Alexander failed to secure Egypt and Bactria never mind advancing to India before his death. His Successors however, despite a number of revolts, did secure Bactria and Egypt over the following decades. In the east Carthage also struggled to expand into Sicily and Southern Italy, as can be seen below at the end of turn five, around 300BC. Revolts in Numidia slowing things further. However Rome was itself slow to grow its influence. This changed around 220BC when first Hannibal the Scipio Africanus appeared on the scene. Yet revolts continued to play their part causing delays at various times. Carthage eventually fell, but recovered and rebuilt its empire. Rome, was now torn between destroying Carthage again, or crossing into Greece to attack the Macedonian Successors who had for 150 years spent most of their military effort subduing revolts, by other Successors, or by the Persian/Parthian rump. Above, a section of the campaign map in 150BC showing the Carthaginian Empire and the slowly expanding Roman Republic. Rome has recently secured Greece and Macedonia while the Successor States hold Thrace and Illyria. Sicily is independent, again. From a victory point perspective the Macedonians were a clear winner, in second place was Carthage, who while smaller had grown, lost and regained their empire. Rome was clearly on the rise, but its position in 150BC, was far from where it was historically. An interesting trip through 200 years of history from the conquests of Alexander, the 1st and 2nd Punic Wars and to the Macedonian Wars. and all within two hours. The Society of Ancients have recently released the original Empire boardgame, which has very basic graphics, unlike the deluxe version I have. Should you be interested in a copy you can find the basic game at the Society of Ancients website. A couple of weeks ago I finally caught up with John for a long overdue DBR game. 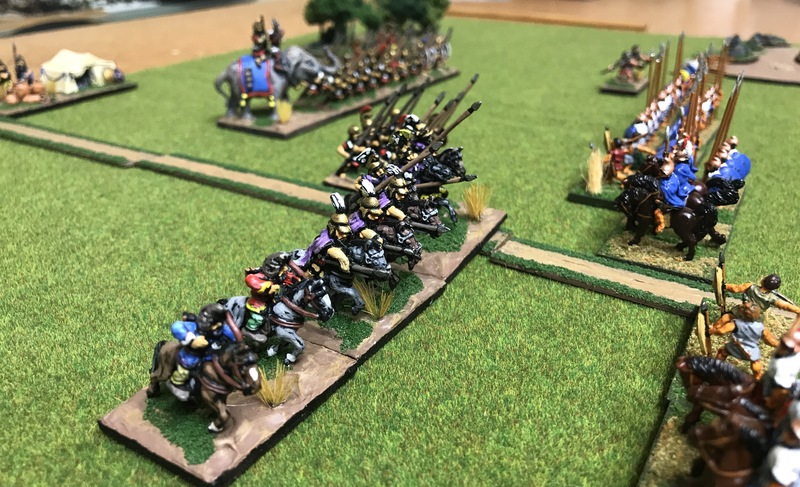 Last year John and I enjoyed several DBR encounters and it was with some interest that for our first game of the year John wanted to play a campaign game. 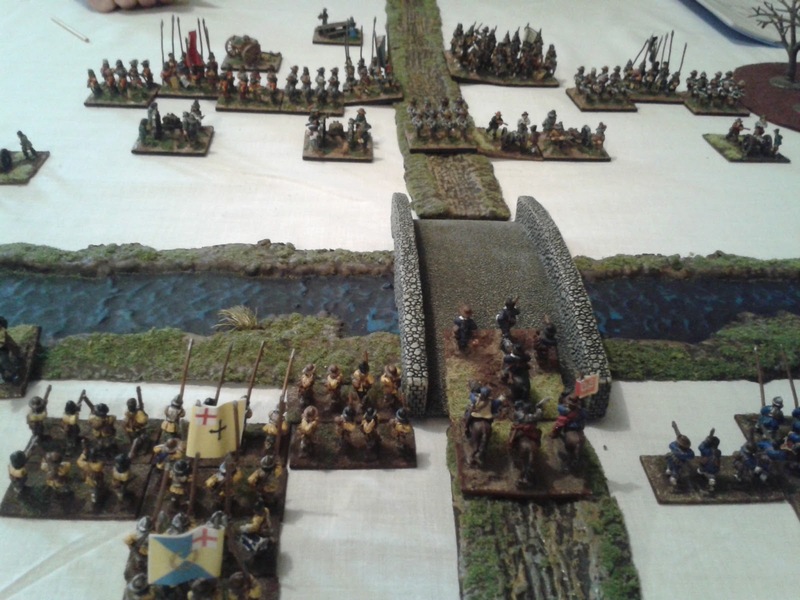 In particular he has been running a series of linked games set in the fictional county of Borsetshire during the English Civil War. The latest encounter being fought in the winter of 1643 on a snow covered battlefield. As John has provided some photos and a description of the game over on his blog I shan’t go into the game details here. Well, except to say it was an interesting engagement as it involved a river swollen by winter rain. The result was the River Perch was a significant barrier to the Royalists who were on the offensive. In the meantime have a look at John’s report on the battle, which can be found here.